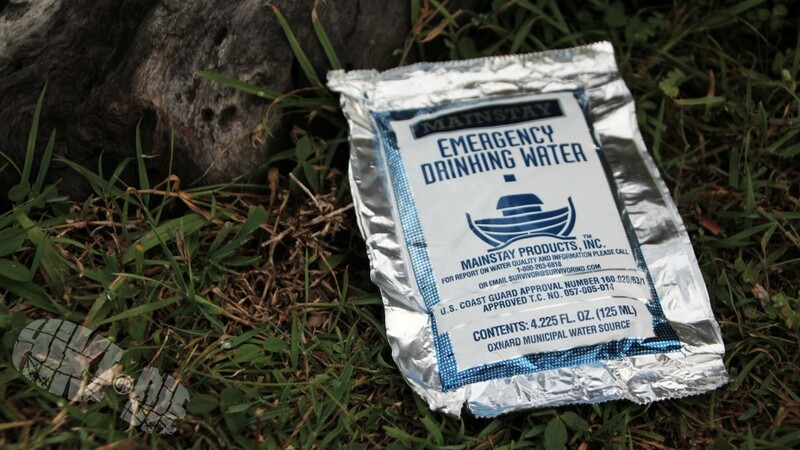 This is a versatile product that will suit hikers, hunters, endurance athletes, Preppers and basically anyone else who likes to be prepared for anything from an unexpected vehicle breakdown to nasty weather rolling in. 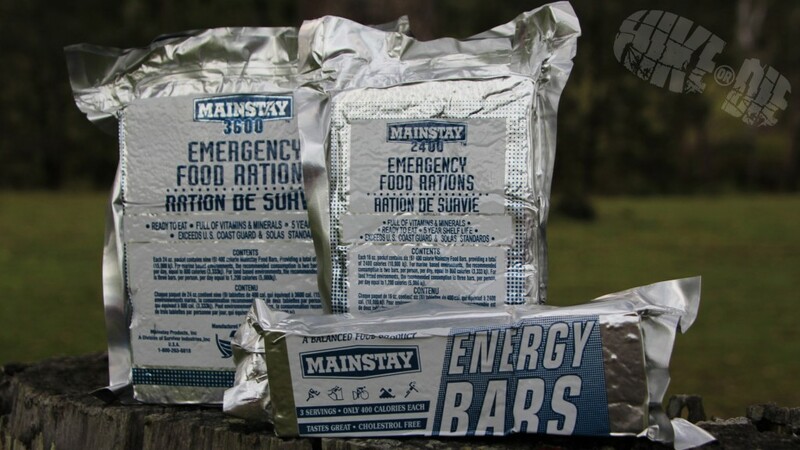 We were asked to review this range of Mainstay Energy Bars and water ration packs by SurvivalStorehouse.com. They were a really friendly team and I’d happily recommend them as a great supplier. This product review was certainly different to others we’ve done in the past. 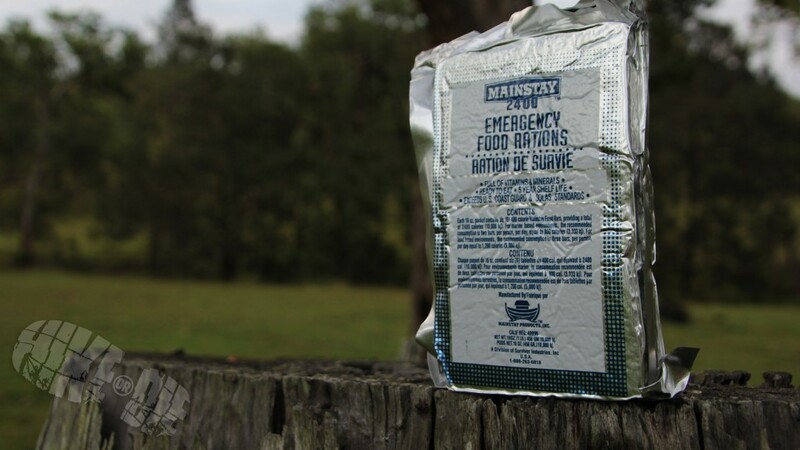 Although we’d heard of an MRE and other more traditional ration packs, we’d never actually heard of the Mainstay brand or this exact style of product. After trialling a Mainstay 1200calorie bar over a 24hr period, I was 100% sold. It’s well created (obviously through extensive research & development), it’s well packaged, convenient, high-quality and even tastes good. This is a product that easily sits on a level above any similar product I’ve come into contact with. I initially pigeon-holed these products as survival or ration packs and saw it as something a Prepper would throw into a Bugout Bag in a SHTF scenario. After talking with the guys from Survival Storehouse, reading the product specifications and testing it myself, I really started to see an infinite number of applications for this range of products. It might surprise you to know that they weren’t all Doomsday related either. As I mentioned above, I can see this product being perfect for endurance athletes of almost any kind, hikers, long-distance trekkers, hunters who prefer to spend more time hunting than preparing food and even boating enthusiasts who want to be ready for severe weather or equipment failure. I just don’t think there is an application where this product wouldn’t be of use. I’m currently purchasing some of my own stock to have on hand and store in my vehicles and house in the event of an emergency. These bars are jam-packed with quality ingredients that are obviously the result of extended research. The more you look into the ingredients, the more you get a little insight into what the manufacturer was trying to achieve. They wanted to create a one-stop, nutrition-packed food source that required no preparation and could stand extreme temperatures and last for up to 5 years. They succeeded. I wasn’t expecting to be impressed by the taste or texture of this product after seeing how much work had gone into the nutritional value. If it tastes good then it’s not good for you right? Well I realised right away that I had underestimated what Mainstay had created after my first taste-test. It tastes great. I’d describe the bars as having the taste and texture similar to a shortbread biscuit, only a little more dense with a light lemon flavour. It’s totally palatable for even the fussiest eaters and not overly dry either. In fact, another key point of the Mainstay energy bar range is that they have designed them specifically to be non-thirst-provoking. It makes perfect sense and demonstrates again the additional thought and care that has gone into the design of this product. It didn’t surprise me either to learn that the Mainstay bars actually won a blind taste-test challenge against their direct competitors. The Mainstay range has a super-robust silver foil/plastic wrapping that is shrink-wrapped onto the bars to remove all oxygen in the process. The packaging is so tough that you have to use a knife or scissors to open it. In the video review that we did I had to edit out a minute of footage of myself trying to open a water pouch with my teeth. Just to be clear, I’m not saying that’s bad. The last thing you want in an emergency situation is to have your food or water supply compromised right when you need it most. Whenever I review a product I’m looking for potential improvements, shortfalls in design and it’s longevity. I’ve struggled to find anything that I would want any different with this product and it’s probably why I’ve been going out of my way to recommend it to anybody who will listen. It truly is everything it sets out to be and everything that you could possibly need in a product of this sort. I’m going to say again that I’m more than happy to stand up and tell you that this is a solid product and I’d recommend it to anyone looking for a food source to fill that gap in their equipment supply.